A few weeks ago, I made this dopp kit for Ethan for a Christmas present. I thought a dopp kit was a good idea because every time Ethan leaves any products of any kind in the bathroom, Kit f$%Ks with them -I can't tell you how many bottles of fluoride rinse have gone down the drain and how many tubes of face cream has been squeezed on the floor, in the sink, and even occasionally in a bed! There are many challenges in raising a child with ASD. There are things that happen day to day that no sane person would ever dream are in the realm of the possible -like dealing with a fanatical product dumper (don't even ask about what can happen with a jar of vaseline or how many times someone can unwrap an entire box of tampons). My husband and I have a saying to create levity in an otherwise bummer situation like toiletries dumping, "It's fun to have fun but you have to know how". This mantra can be applied to many minor but frustrating things that occur in daily life generally, I highly suggest you try it! 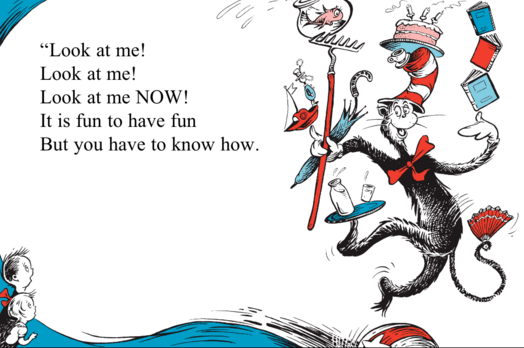 Btw, our new Kitten Otis also engages in a lot of "it's fun to have fun" behavior. He is somewhat present in my instagram feed. So anyhoo, back to the bag, I try to have a sense of humor about these random occurrences and to come up with solutions to specific problems . 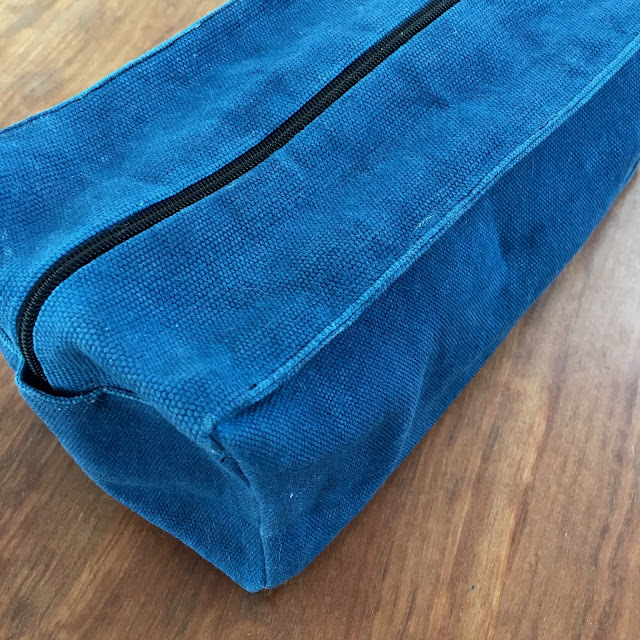 So, here we have the dopp kit, which by the way will also come in handy when E heads off to college next year. It's 5" wide and deep and about 11" long. I used a basic box-pillow construction technique to make this thing. 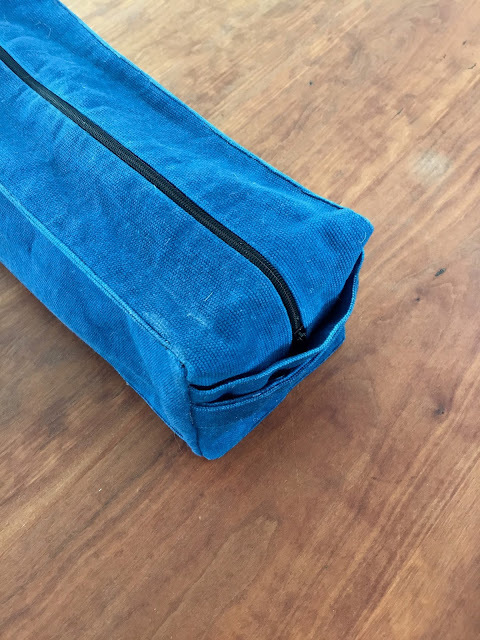 I pre-dyed the canvas, which is pretty heavy duty, (with Rit Evening Blue) and then waxed the entire bag with bees wax when I was finished sewing it. I waxed it to both give it additional stiffness and structure and to keep it somewhat waterproof and durable. 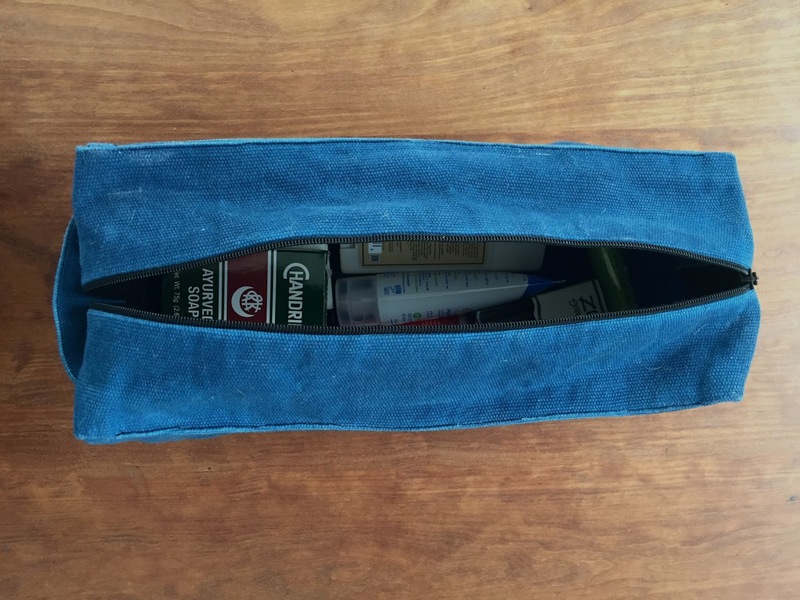 The process of waxing was the same as for the tangle bag I made a couple of years ago which you can see here. 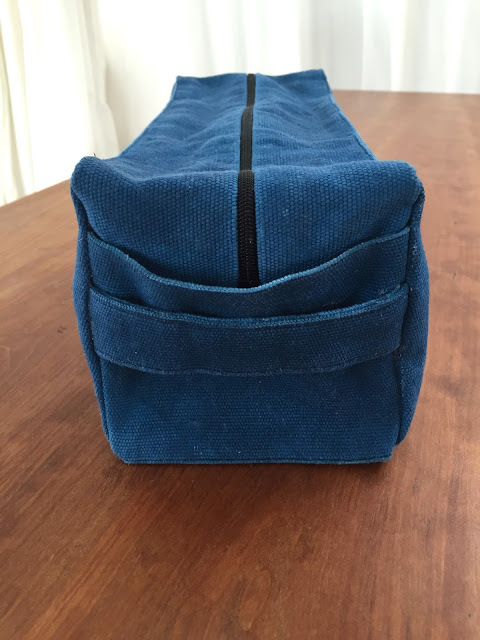 I'm going to roughly outline my sewing process here, if you want to take on making one of these and want more specific instructions, there are a million dopp kit tutorials on the web. 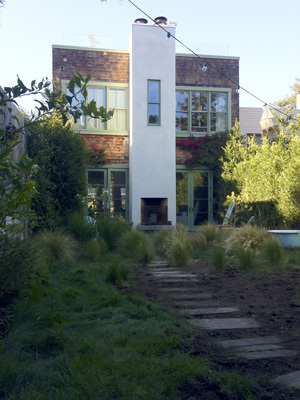 This project is pretty simple, most sewers can wing it. 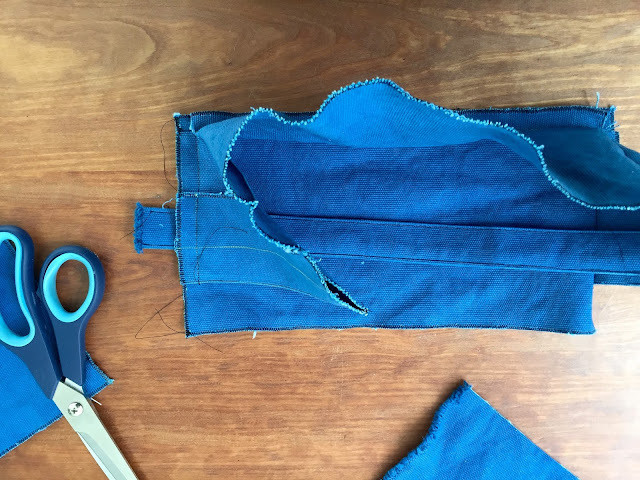 After cutting all the pieces but prior to sewing, I edged everything with a zigzag stitch. 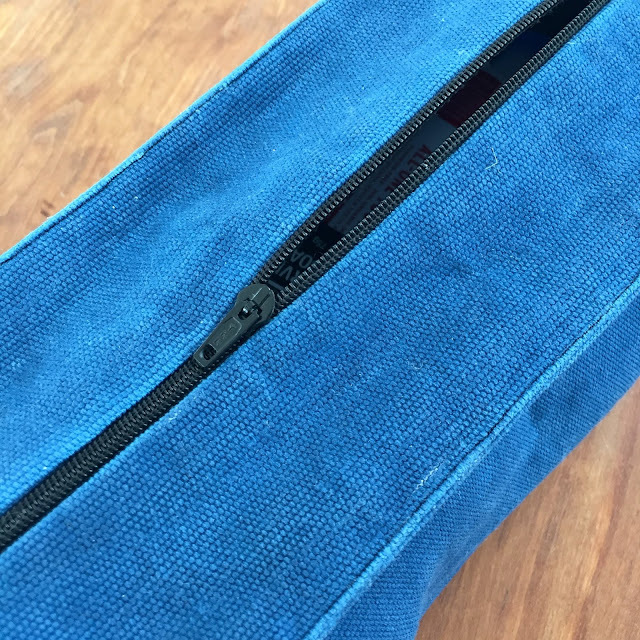 I made the top panel with the zipper first. 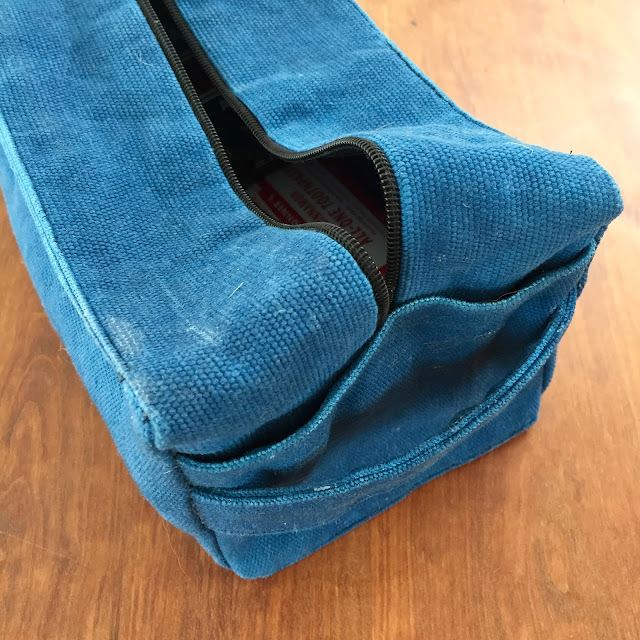 I used a continuous zipper and made the zipper section extend down the ends of the bag so that it could open wide. I also added a little strap handle. I chose a black zipper, completely exposed. This is a very simple method which I often employ on pillows, using a complimentary color zipper as part of the design. On most of the seams of the bag I double sewed the hem for added stiffness. 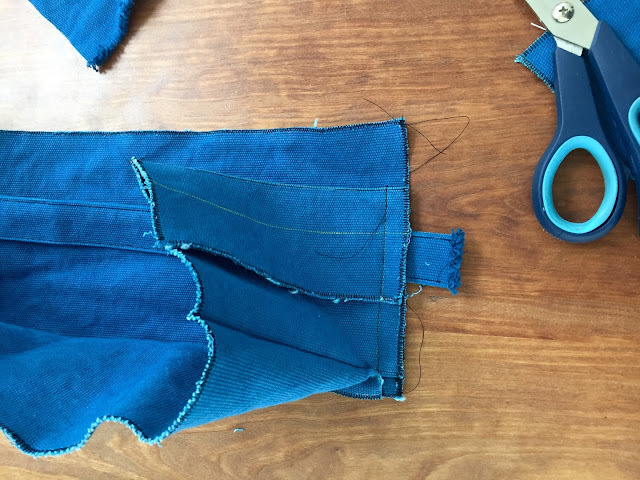 This means that after sewing a regular invisible seam along those edges with it inside out, I went back and sewed a stitch on the outside about 1/8" from the edge. It squared out the bag nicely. The bottom and the ends of the bag are made from one longer piece. 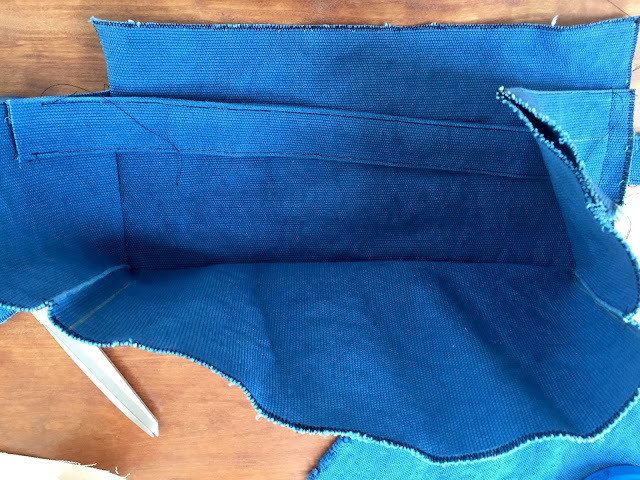 An astute sewer will know that the overlap of these pieces and the top zipper piece needed to be sewn together. On the end with the handle, I sewed it with an allowance for a little outside pocket. This was a fun little project. My vintage Bernina Record handled sewing this canvas very well. I did learn the importance of a new, sharp needle when sewing in the handle, as it was passing through like 6 layers of canvas. A new needle can make all the difference in the world.